Pretty, light and fast - the brand new high quality pedals from Time. New to the portfolio is the Atac Speciale with an extra wide pedal platform. They are available in two different options and two different price categories. Especially the Atac Speciale 8 was vowed in several magazines. The best pedal for your application! Classic pedals are mostly found on leisure-time bikes, city bikes and trekking bikes. These pedals are also known under the term 'platform pedals'. They are suitable for biking with "normal" casual, sports or even hiking shoes. Another option is a similar pedal, which has a flat surface on the one side and a socalled clipless pedal on the other side. Depending on the circumstances and the terrain, you can thus change between a firm connection with the pedal and a flat surface. This often makes sense as an alternative for beginners if they do not yet feel all too comfortable with clipless pedals. For the clipless pedal side, you will need an appropriate bike shoe which can take on the counterpart to the clipless pedal, the cleat. But we'll tell you more of it down below. MTB pedals are available as clipless pedals or as platform pedals. How does this pedal system work? 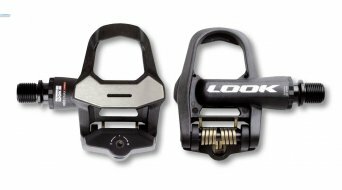 The clipless function is performed by two thrust bearings which hold the cleat via spring tension, you'll hear a 'click' when you're locked in. The pedals will be reopened if you swing your feet heels to the outside! Handling clipless pedals is a matter of practice. In the beginning, you should be prepared to get home with the one or other bruise. Since stopping and simultaneously getting out of the pedals is something you have to first of all assimilate. With practice also comes the routine, comparable with driving a car, you want to stop, so disengage the clutch! On the bike it means: Before you can stop, get out of the pedals! 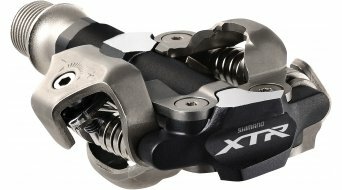 The clipless pedal system was developed for the MTB side of biking and is called the SPD system (from Shimano). Depending on the manufacturer, there are a variety of combinations of pedal and cleat, which in most of the cases are not compatible amongst each other. Therefore, when buying pedals, you should not forego to also buy the matching cleats for your pedals. They all have in common how the shoe sole takes the cleat, so that each pedal cleat can be mounted to any MTB shoe. So you are not limited in the selection of your shoe if you wish to change the pedal system. In the mountain bike range, another second variant is also being used: the MTB flat pedals, an extreme version of the platform pedal. Applications are the faster forms of bike riding: freeride, downhill, BMX,... but trail riders also feel comfortable with flat pedals. It applies to all pedals as a standard that there is quite a large range for the purchasing price from 15 Euros to more than 150 Euros. Ambitious bikers, whether MTB or road bike, mostly place emphasis on sturdy but also light pedals. Saving weight most of the times will have an effect on the price and will make their purchase more expensive accordingly. Especially at flat pedals, the colour also often plays a role. Coloured pedals set the necessary highlight for the colour-coordinated bike. Now has come the time that you'll have to find the pedal suitable for you as well as your bike in our shop at a favourable price, and we deliver worldwide!